Last Sunday was Lisa’s birthday. Luckily for me, she and her family have been off up north defrosting and she’ll never know (hmn) that it was, as usual, after the day when I pulled my present-crafting act together. See Saw, (as dubbed by my youngest), is a goddess in the kitchen. With a fiery, feisty temperament, she is also an infinitely generous soul and the gentlest, nurturing Mum. She is goodness and sweetness and all heart. I am continually bowled over by her thought and care and the remarkable timing with which delicious homecooked dinners, for those with a somewhat more chaotic approach to life, (possibly someone like me), spontaneously appear. Recently, Lisa pushed away my gushing gratitude and said simply “I just do the things that I am good at.” Taking a leaf from her book, I thought I’d do something for her that I was good at. Or ok at. Or getting better at being sort of ok at. I know that Lisa will look at those last, wonky, half-asleep-because-it’s-three-in-the-morning seams and see only my intent to give her something back of me. Scrumptious and utterly addictive olives by Mr Myrtleandeunice, who has somewhat alarmingly declared an olive grove calling and was seen to be scouring the real estate pages of the Saturday paper plotting upheaval in the name of Kalamata. Upheaval to an olive grove sounds delightful. Australian olive oil has always been my favourite. Yum Olives! And gorgeous apron! I think I might have been thinking of the movie 'Stealing Beauty'! 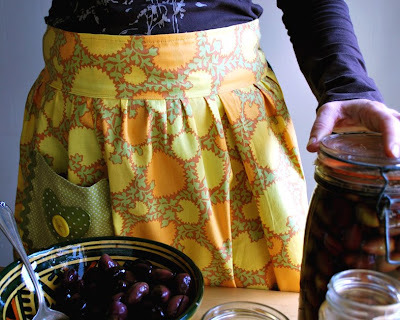 A fine apron, and those olives look smashing too! After last night's 'Chicago' performance I've not only got the words to 'All that Jazz' but 'Give em the old Razzle Dazzle' as well - taking it turns for the next 2 days I'm sure. It also made we feel like doing a dance course thingy (insert jazz hands here)! What a beautiful present Tania. 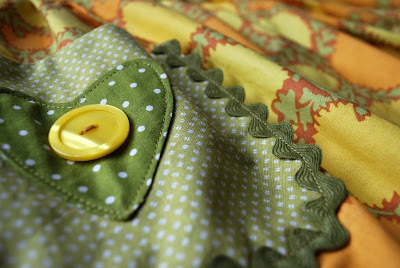 Even though you can see the wonky seams, all your friend will see if the gorgeous apron her gorgeous friend made her. 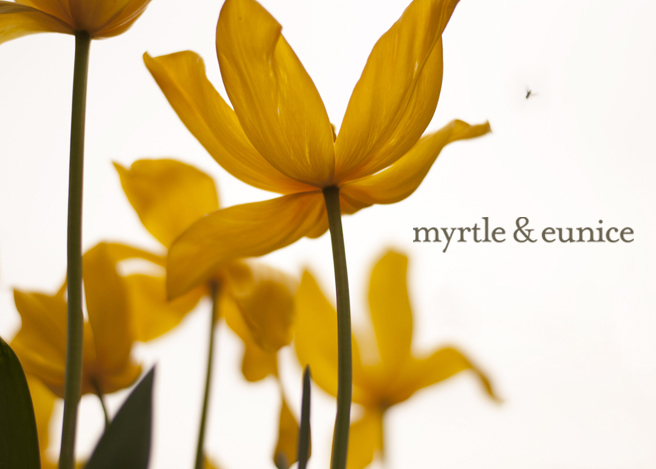 Love in every stitch and a blog post tribute.... I think she'll like it. She'll love it! And, what a fabulous outlook she has. Don't we all need a bit more of that?! Our elderly Greek neighbours, Anna and Spiro, insisted that our large, glorious olive tree required us to learn how to pickle our own olives. Four years in and we're hooked. This year we not only did the whole crop from our tree (~5kg) but then bought in another 5kg from the local greek fruit store. The problem with this was suddenly there were 10kg of olives to process and little spare time. Luckily it was autumn school holidays and we've got lots of primary school aged friends. So, with hot chocolates for payment and some lovely autumn sunshine (and only two cut fingers from sharp knives) we sat on the front porch and processed those suckers. Two months later and we've got thirty litres of pickled olives. We've given away a few here and there but there's so many left I'm not sure that we'll get through them all. The owner of one of the local bars has offered to buy some off us for his high-end bar snacks (he got a thank you sample pack) but we want to make sure we've got enough to last until the next crop of olives is ready next year. Love the apron!! and those olives. What a beautiful apron, gorgeous colours and a great design. Oh, I lurve the ric-rac trim and the fabric choices. What a lucky friend you have. Lucky See-Saw. The apron looks just right for a friendly, domestic goddess. Lisa. Gorgeous apron! Beautifully styled with that lovely crop of olives. Oh to know the things we're good at. Amen to that. Tee hee for looking so happy that early in the morning. Was about 7.30am and I'd been up about an hour. Am pushing myself to get up even earlier and rise with the sun for a run now that the days are slowly getting a little longer. & those olives look sensational.